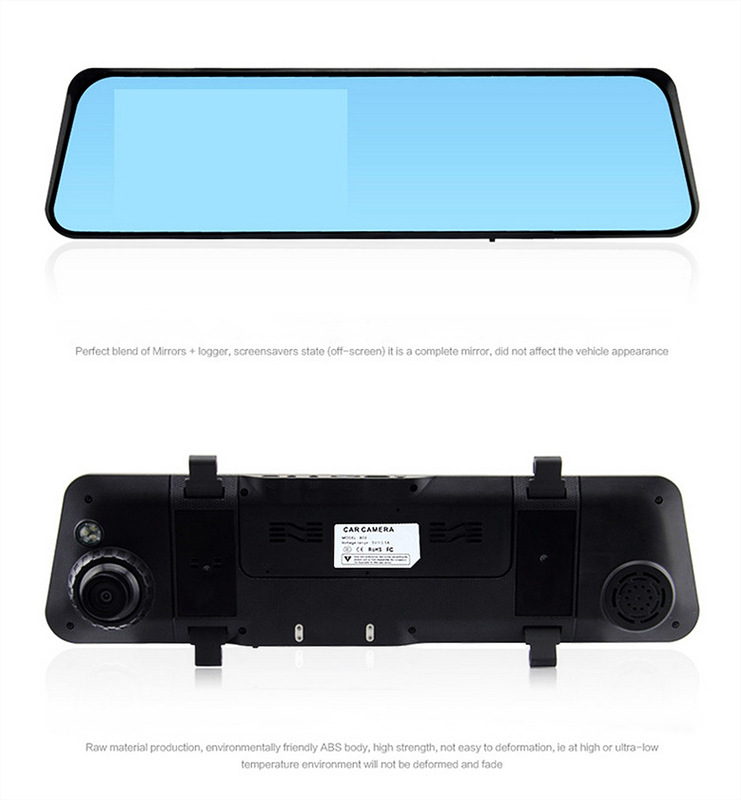 â— 3 in 1 function, rearview mirror / front camera DVR / rear view camera with 6m power cable (for camera). 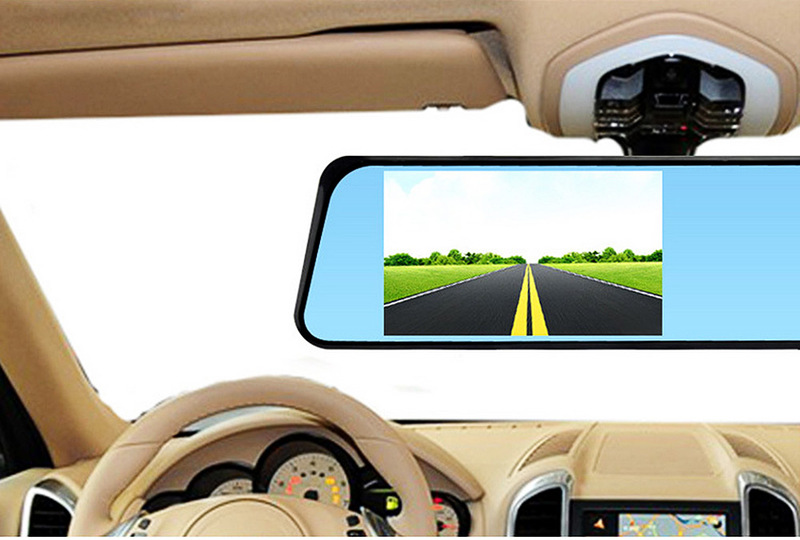 â— 4.3 inch TFT LCD 1280 x 720 display screen. 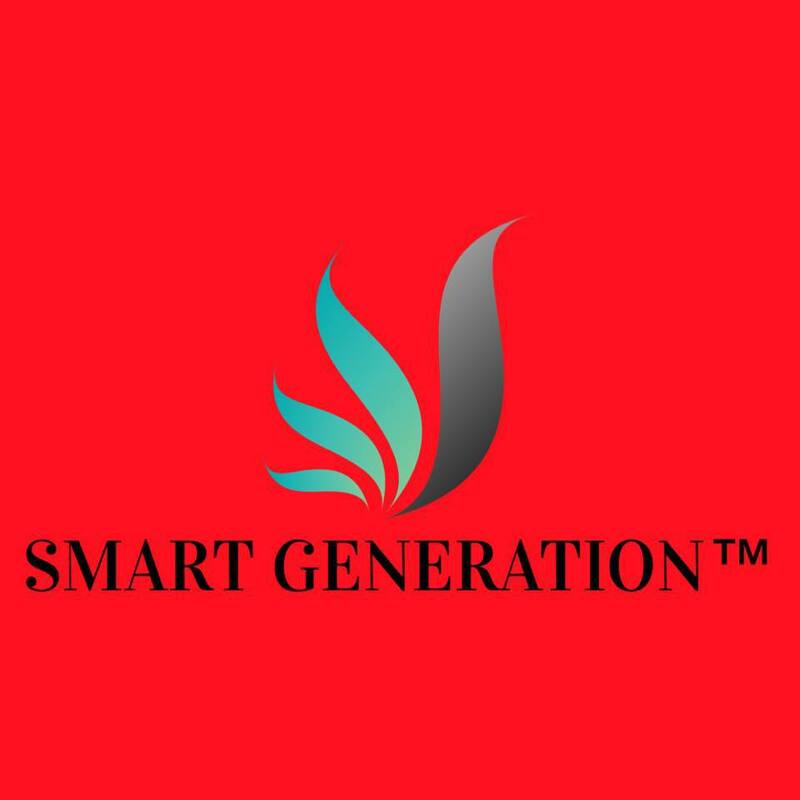 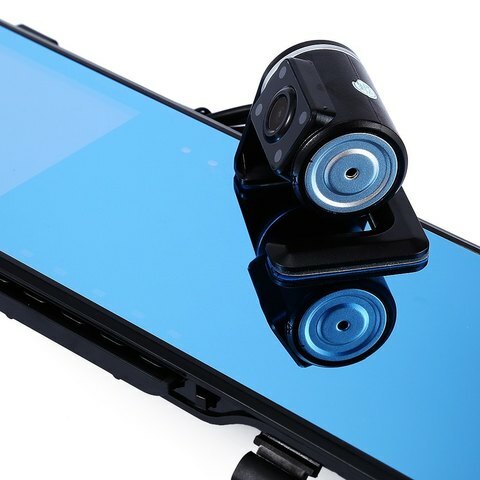 â— Full HD 1080P, high resolution video recording. 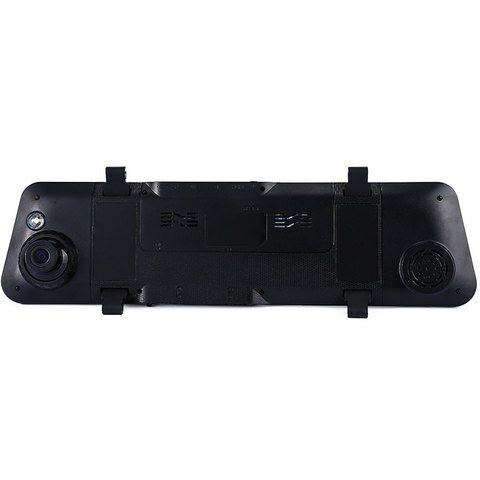 â— Support TF memory card, up to 64GB. â— Real-time recording for unexpected traffic condition. 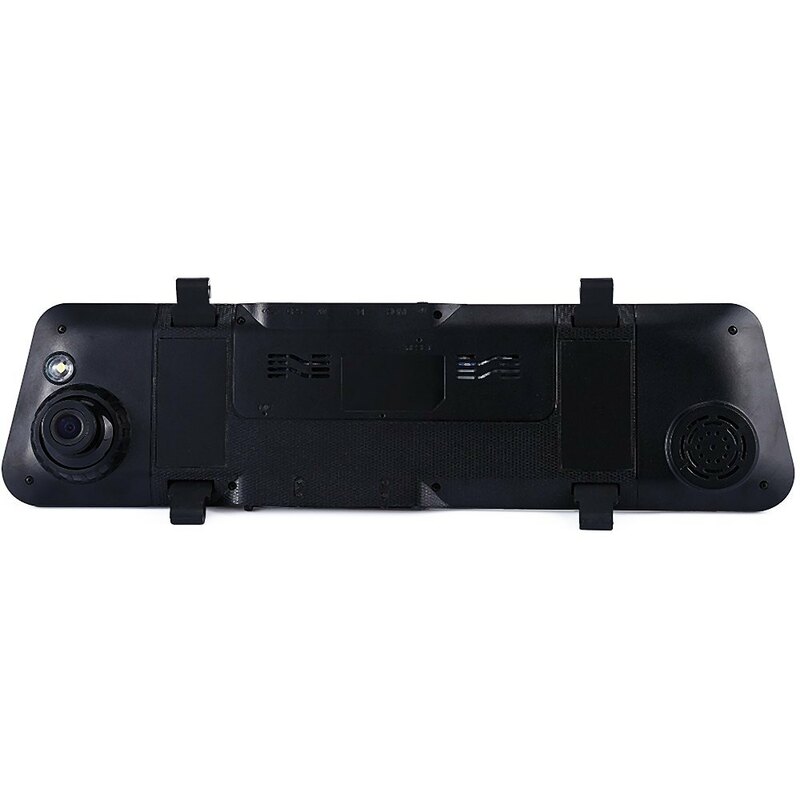 â— Dual camera lens: Front 170 degrees high-resolution ultra wide-angle lens (can rotate 360 degrees), back 120 degrees wide-degree lens (waterproof). 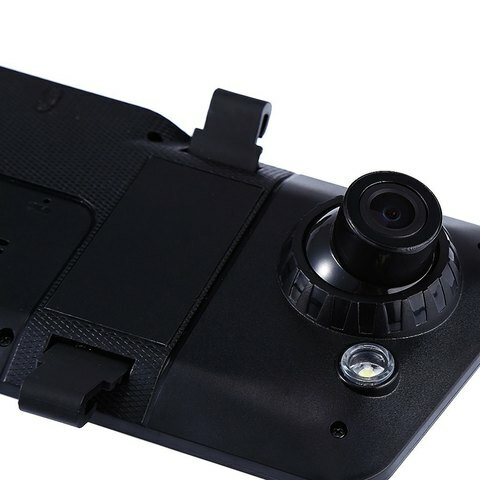 â— Video resolution: Built-in lens: 1920 x 1080 / 1280 x 720 / 640 x 480 pixels, external lens: 720 x 480 pixels (maximum). 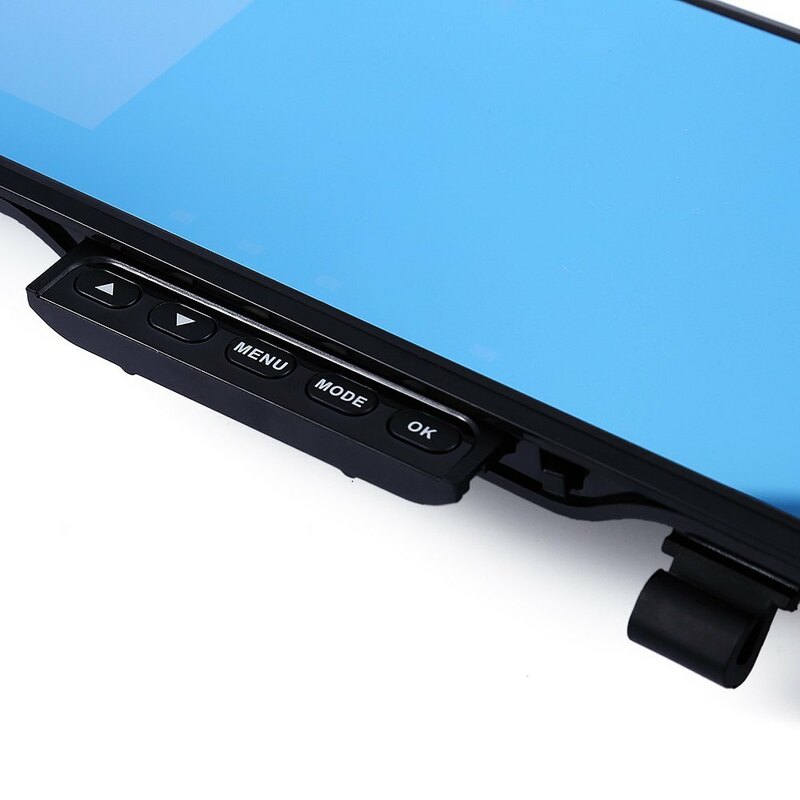 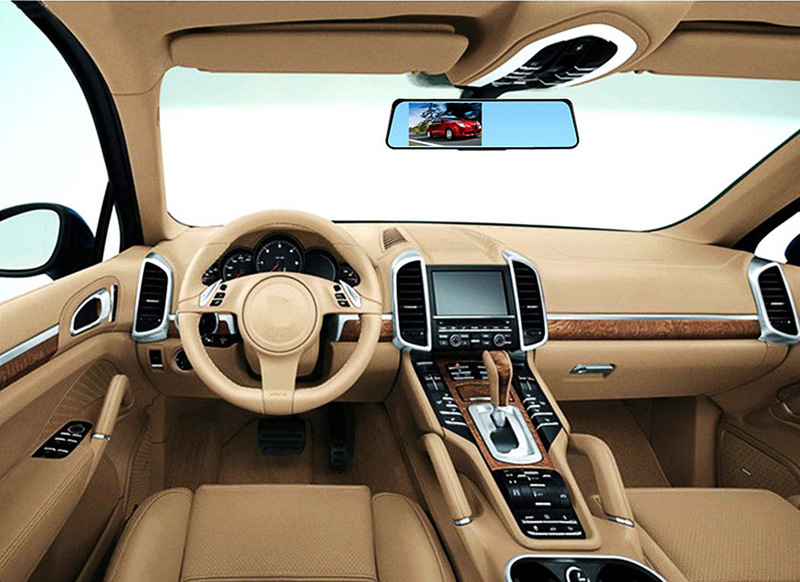 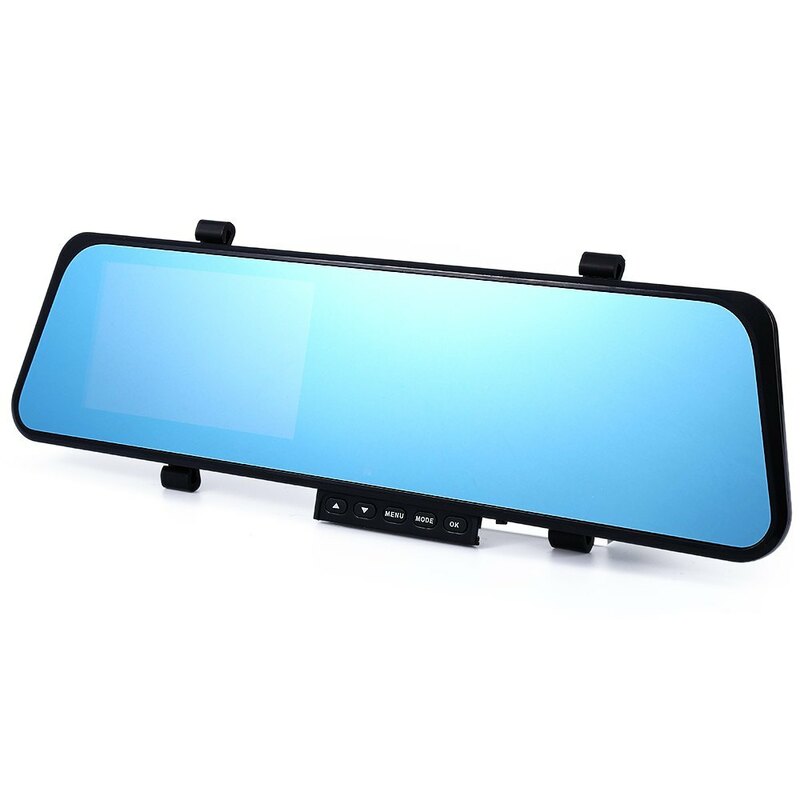 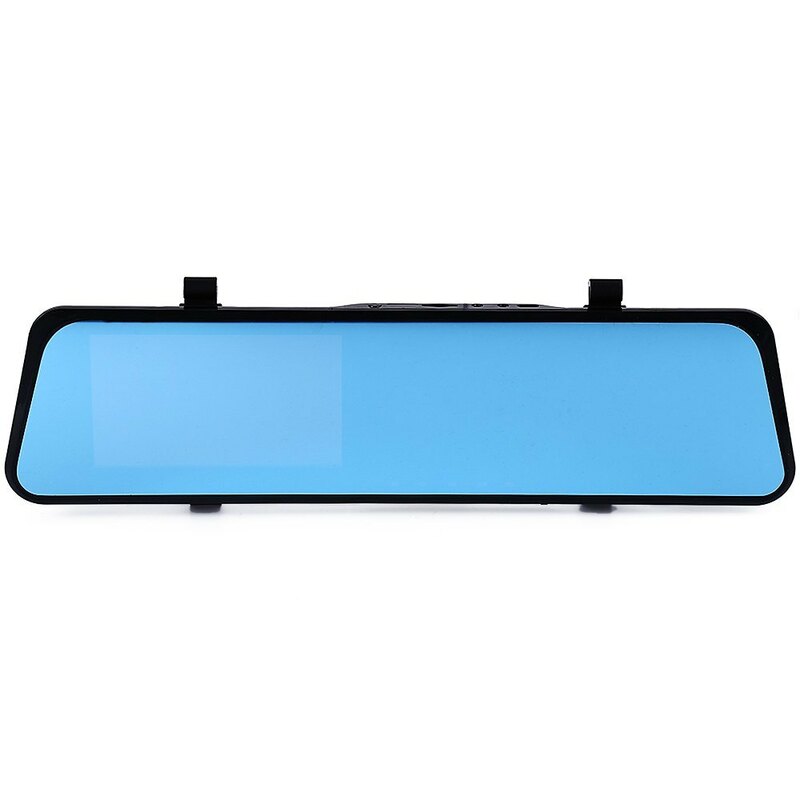 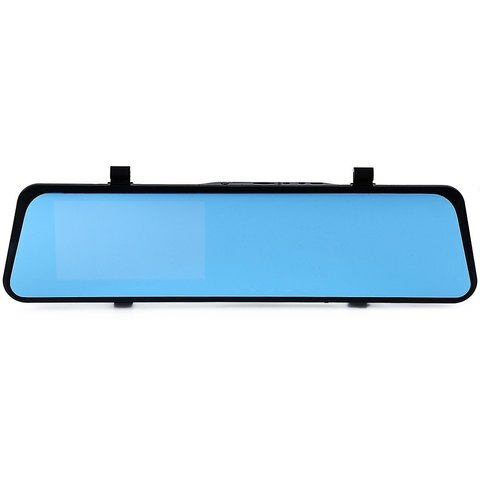 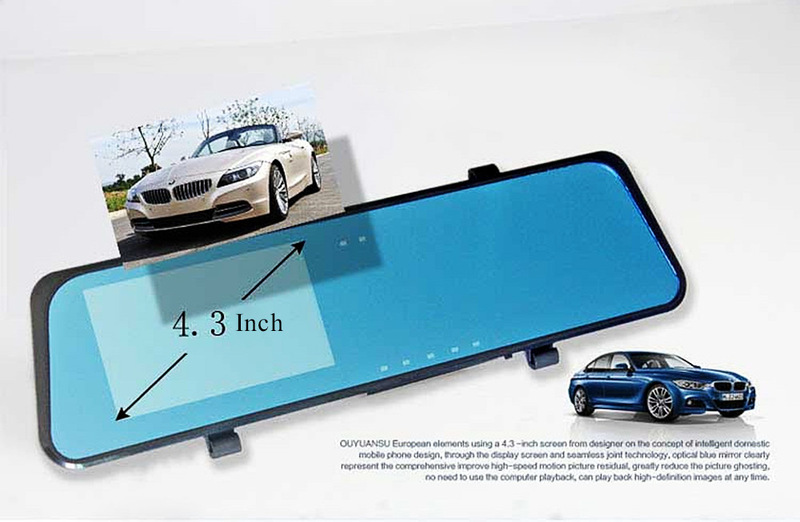 â— Hidden buttons for easy operation, maintain the original appearance of the rearview mirror. 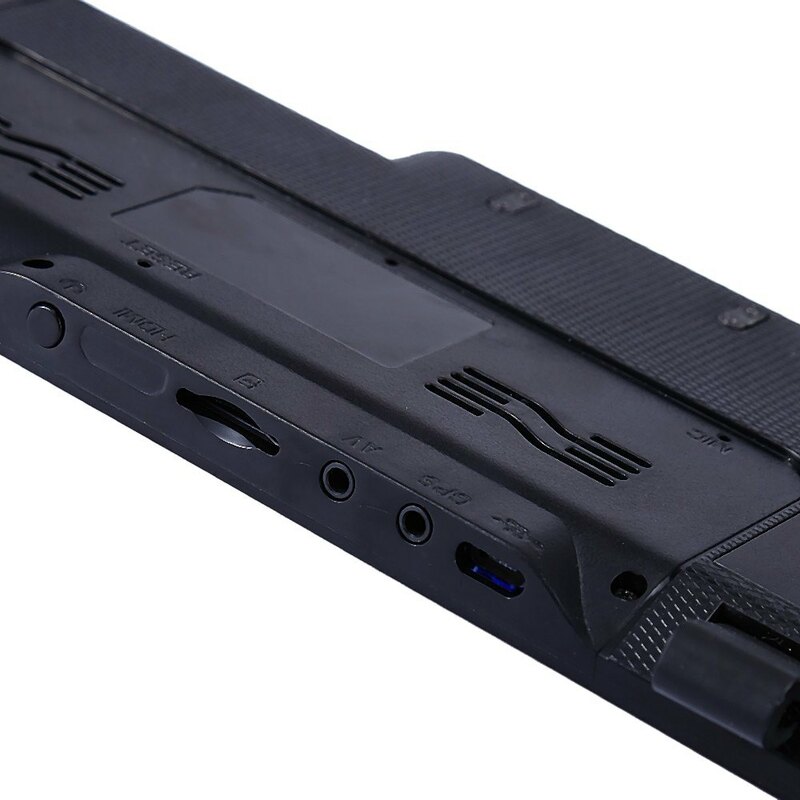 â— Build-in lithium battery, current: 1 - 2A, voltage: 5 - 12V, capacity: 280mAh, standby time: More than 20 minutes.